This is no simple task as there is no winner takes all in the EU legislative process. With hundreds of MEPs affiliated with political groups of different ideology and emanating from Member States of diverse economic and cultural backgrounds, success is only possible through persuasion, persistence and the art of compromise. It is through influencing small and targeted changes within EU law that MEPs can make a huge difference in the lives of citizens and businesses. No political group or Member State delegation can shape EU legislation on its own, and this is an important safeguard of European democracy. It is no secret, however, that smaller countries like Malta with a delegation of only six MEPs, needs to punch far above its weight to match the numbers of other nations. Having said that, what matters more is not the size of the country, but the ideas and persuasive work of its elected representatives, based on strong network and alliance building. This makes it even more crucial that we elect our six members from the most hardworking and brightest pool of resources. Furthermore, the work of the European Parliament in the next EU mandate will not be made any easier. Various EU polls indicate that populists and eurosceptics will be on the rise, while centrist parties will diminish. While the latter will continue commanding a majority collectively, there will undoubtedly be a change in the balance of power and EU reforms will be met with more disruptive forces. This does not augur well for Malta, a small open economy whose long-term prosperity is linked to the EU’s ability to remain a global economic player. Taking into consideration economic forecasts that are indicating slower growth, in the next five years the EU will require to press ahead with more necessary reforms and implement policies that create a fair and competitive business environment, facilitate digital transformation, continue investing in innovation, and also to safeguard European values that today qualify the EU as the best place to work, live and make business. 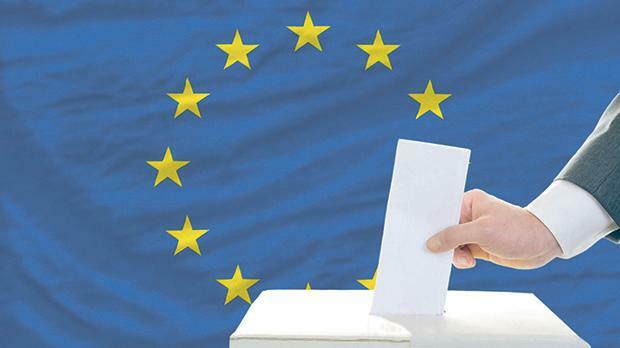 All this underlines how the upcoming European election is too important not to take seriously, and the Maltese electorate needs to evaluate and identify the candidates with the right competence and experience for the job to bring the best for Malta. Countries with 50 or 60 MEPs could get away with a few underproductive MEPs; however, with just six we need them all to work extremely hard for the collective good. Last Friday I had the opportunity to present the Prime Minister with the Malta Business Bureau manifesto for the 2019 European election and the next EU mandate. A discussion with the Leader of Opposition will also follow shortly. The MBB manifesto outlines nine guiding principles for the elected Maltese MEPs on various issues covering the EU agenda. Among others, the Maltese business community considers that competitiveness should be put at the core of the EU’s social agenda; that new life should be reinstated into deepening the European Single Market; that EU legislation should be more SME friendly; that the EU requires a reinvigorated strategy for tourism; and that in view of international protectionism the EU should continue acting as an open and fair global player. These are all important issues for the future of Maltese business, and as the election campaign peaks in the next few weeks, it is important that these topics feature more in the national debate. The business community is interested to hear how MEP candidates intend to represent the Maltese business community, promote its agenda, and safeguard their interests once elected to the European Parliament. The business community also augurs that Maltese MEPs can see a way through to work in a bi-partisan manner throughout the next EU mandate to safeguard Malta’s interests and bring out the best opportunities for Maltese businesses. This is crucial considering that Malta only counts six elected representatives, which makes it all important to work together. It is expected therefore that elected Maltese MEPs coordinate the distribution of European Parliament committees to ensure the widest coverage and relevance to Maltese business and the economy, and make a strong commitment to retain an open cross-party dialogue where a spirit of joint-cooperation prevails. Also, more than any other country, Malta needs to maximise its resources to ensure that the wide range of EU legislation is sufficiently covered and that its message is spread as wide as possible to persuade legislators to be more sensitive to the economic reality of small countries such as Malta. The Malta Business Bureau’s representative office in Brussels can serve as an added value in this process and as president of this organisation, I am committed that our team continues working closely with the Maltese MEPs and assure them of our full cooperation. Simon De Cesare is president of the Malta Business Bureau. The MBB is the EU-advisory and support office of the Malta Chamber of Commerce, Enterprise and Industry, and the Malta Hotels and Restaurants Association. The Malta Business Bureau manifesto for the 2019 European election can be viewed at www.mbb.org.mt.